A serious car accident can result in life long chronic pain. Chronic pain is often defined as any pain lasting more than 12 weeks. It is unique in that the pain persists for months or even longer. Chronic pain can be overwhelming and many people feel like they can’t cope. Complications from this type of pain include increased sensitivity to pain, continuing emotional distress, feelings of depression and anxiety, mild cognitive slowing and distortions, and daytime fatigue. 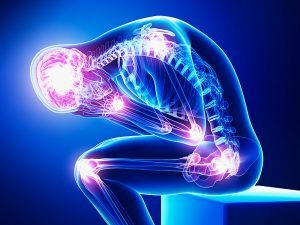 Chronic pain is by its nature subjective and there are typically not many, if any objective signs with chronic pain. Injured people may have ongoing pain symptoms that never resolve, even if the injury itself has healed. It is even further complicated by reactive, secondary psychological factors. The court must look at the evidence of the case as a whole instead of the small inconsistencies here and there. It is essential to have good evidence in support of the a claim for chronic pain which includes witnesses who can testify to a person’s pre and post-accident life. If you or anyone you know is struggling with chronic pain as a result of an accident, give the goodfirm personal injury lawyers a call for a free consultation at 604-264-5550. For anyone in pain who is looking for resources, check out Pain BC for excellent resources at https://www.painbc.ca/chronic-pain. When are Parents Responsible for what Their Kids do at School? What is a marriage-like relationship?